As I turned to a life of science in what seems like a lifetime ago, I discovered that one good approach to further immerse myself in the field is to become acquainted with the academic resources of local colleges, universities and research institutions. As a result, I spent so much time at various campuses I soon viewed such places as “academic playgrounds.” True to the metaphor, it is fun to be close to where the science is done and I became quite comfortable around universities in my search for curious characters. Living in Los Angeles is a favorable place to be in this pursuit because the area has got a number of leading universities and research centers such as Caltech, JPL, UCLA, and UC Irvine. As my interests grew, I ventured beyond Los Angeles and visited a number of other well known institutions such as Columbia University, Stanford University, and UC Berkeley. Of course there are many other quality schools around the U.S. and the world, and each has its own areas of research specialization. It turns out that the schools I got to know best all have something important to offer based on my scientific areas of interest. Besides frequenting these institutions for scientific purposes, I typically try to explore the sights, cuisine, and local color of the area along with my science. One rule of thumb when paring your particular areas of interest with an academic institution is to realize that most university programs have fairly specific areas of research focus. For example, Caltech is very strong in gravitational wave astrophysics, numerical relativity, infrared astronomy, but somewhat weak in pure mathematics. 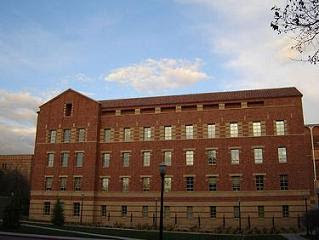 UCLA, on the other hand is very strong in particle physics, galactic center, number theory, and applied mathematics. It may take a while to get a handle on each school’s unique areas of expertise. I understand that depending on where you live, you might not have a choice in terms of selecting schools to frequent. Los Angeles is an exception with how many top flight schools are in close proximity (other exceptions being San Francisco, Boston, and New York City). In many towns, you might only have a single institution. That’s fine though, you’ll just have to adapt your scope of research in order to take advantage of the resources at your doorstep. The protocol I’ve used to acclimate myself at my academic playgrounds is simple. I start with getting to know some professors and researchers. A good way to do this is by attending public lectures or departmental symposiums which are usually open to anybody that is interested. Get acquainted with their research before attending so you can talk intelligently when you meet them. Check out the school’s website and thoroughly review the department pages including professor pages, research pages, and news release pages. You c an also visit the school’s science library, and it has become fashionable for science departments to place research summary posters along the wall in the buildings housing the departments. You can even hang out at a campus coffeehouse that faculty might frequent. I’ve greatly enjoyed the time I’ve spent at various institutions around the country in pursuit of greater understanding of mathematics and science. I highly recommend that you seek out your own local resources and have some fun of your own.